According to Facebook, over one billion people have daily active accounts on Facebook. One billion. 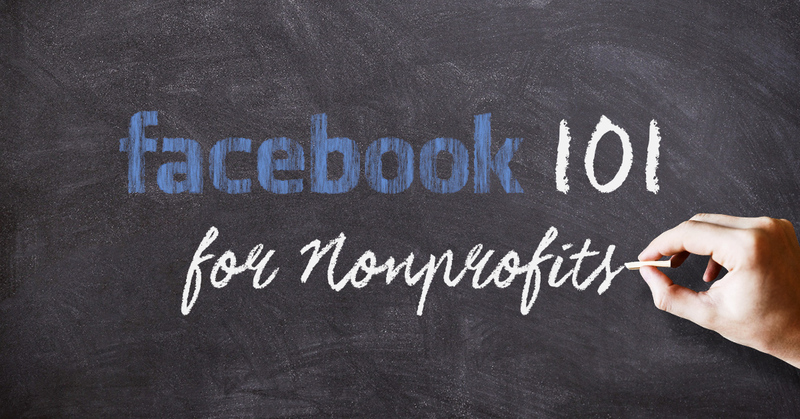 When it comes to creating community for your nonprofit, Facebook is too big to ignore. So, how do you get started? A Facebook Profile or Timeline must represent a real person. Though you may see many businesses and organizations using a Facebook account as a profile, in order to comply with Facebook, they need to be a page. This is important for a few reasons. Firstly, a Facebook Profile has an equal relationship with its friends. Meaning. If I accept your friend request, you can see my posts and I can see yours. Facebook protects the privacy of a Page’s fans from itself. People can see a Page’s posts, but a Page cannot see those of a profile (a fan). Also, Pages have call to action buttons, insights, messaging, and advertising options. All of these are important to any nonprofit — large or small. First navigate to Create a Page. 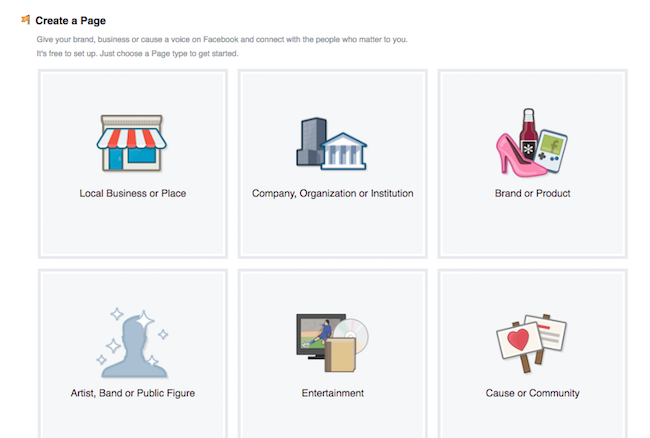 Then, choose which type of Page; Community or Cause is the right choice for most causes. Your profile photo should be a square version of your logo. You can create both the Cover Photo (851 x 315 pixels) and the profile photo on Canva.com for free. 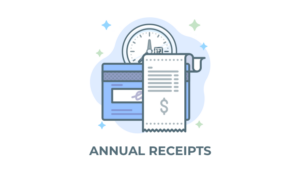 Before you sit down to start, create a text file ready with your phone number, address, mailing address, website address, contact emails, bio, mission statement, and about so that you can streamline the process. Otherwise, you’ll be flipping back through tabs in your browser, searching documents, and emailing board members. This is also a good time to assign the admin and editor roles, too. As we’ve mentioned in other posts, it’s important to have more than one administrator. This helps spread the responsibility for when people take vacations or have life emergencies. Buffer has a great article about ideal photo sizes and well-done examples for your reference. When choosing your type of Page, select Community or Cause. What should you post and who will do it? Being a Facebook Page Manager is more than just posting an article or queueing up a post in Buffer or Hootsuite. Someone should also be there to engage with the community. This is the primary purpose and goal of having a presence on social media. So whether your create or curate (or both) content, you want to spend the time responding to comments from your audience (community). Creating content is writing, making a video, and taking photos. Curating content is finding articles, videos, and photos elsewhere to share. These best practices approaches should begin by ensuring that you set reasonable goals that you can meet on a weekly basis. Right clicking on images and saving them from elsewhere — then reposting them as if the were your own — is a copyright infringement issue. Don’t do that. Sharing is a much better approach. The last thing you want to do is expose your nonprofit to a copyright troll. I take the time to mention this because I hear about these publishing instances most days. If you are a registered 501(c)3 organization, then Facebook helps support your fundraising efforts. In order to take advantage of this, your Page must be categorized as a nonprofit organization and verified. Of course, be sure to have your bank account information ready, too. You can sign up for a donation button here. Facebook’s Page CTA allows for donations. Should you also create a group? Many organizations who have Facebook Pages also create groups either to facilitate communication within the leadership team and/or with their volunteer base. Think of a Facebook Page as public-facing and a Group as insider conversation. Your Facebook Group could provide resources to your volunteers to empower them with your most current campaign. This may include distribution of labor, marketing materials, and volunteer signups. Your group can be secret, closed, or open. It’s up to you. Admins should be trusted people who are active on Facebook. It would be good if they are the same admins as your Facebook Page. Just be clear to your team about the purpose of the group versus the purpose of your nonprofit’s Facebook Page. Creating a Facebook Group is straightforward. Facebook will lead you through the steps on how to create a group here. Be sure to invite people to your group, however, as opposed to just adding people. That behavior can be perceived as spam. Both Facebook Pages and Groups can create Events on Facebook. Even if your event lives on your web property, creating an event on Facebook and inviting people is a good way to both remind your community and strengthen donor relationships. Events can also have co-hosts and cover art, too. One of the features of Facebook Events that is helpful is when someone marks themselves as interested or going, an update will go out to their friends in the home feed. As an admin, you should comment on these updates which gives that RSVP even more exposure. Truthfully, not very many people check their Facebook notifications on a daily basis, so give your event some time to gain momentum. I would suggest at least two weeks ahead. 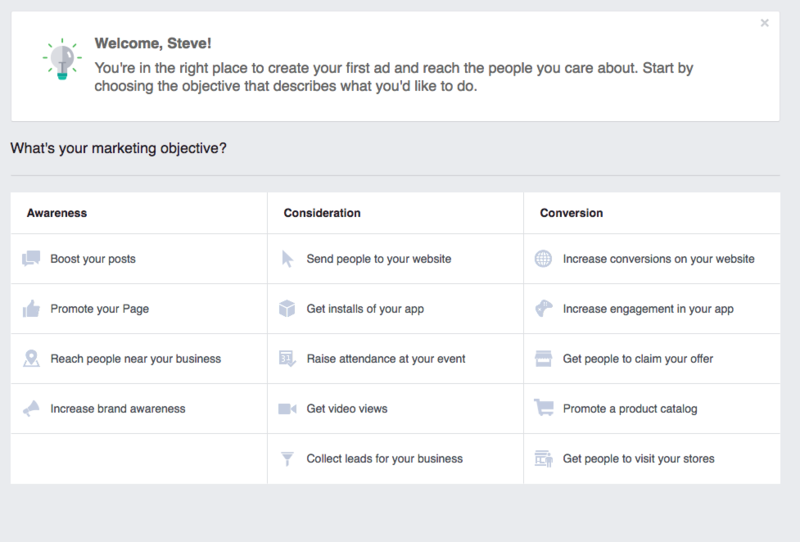 Facebook has a step-by-step guide for creating events here. Live broadcasting extends the reach of any event. Facebook Live isn’t only for events, though. Taking advantage of Facebook’s new Live Video feature is a great way to communicate with your audience and show off your organization’s behind-the-scenes. Of course, beyond highlighting conferences and events, your organization can host Q&A sessions with special guests. In this era, everyone is a media company. Facebook allows you to broadcast in a Group or as your Page. Once the live video is over, the video remains in the video section of your Page. It’s a great way to build community within your audience and, frankly, reach their audience, too. Events broadcast within the group, however, are not public so keep that in mind when you’re deciding. It’s a good idea to run a few tests, too. Facebook provides many great advertising options. In fact, they continue to improve their platform and make it easier for seasoned ad buyers and those with little experience to launch an ad. Facebook provides many great advertising options. Choosing to send people to your website is a great way to extend your social channel in your web property, especially if you have worked hard to create a beautiful website that tells stories and accepts donations. If you’ve hired a developer, create a look-a-like pixel and place that in your website footer. Doing this will allow you to continue targeting your audience on Facebook more effectively. Run your ads for only a few days and constantly change them. Continue ads that have better than 10% engagement rate. Make your images 1200×628 and don’t include much text in your image (less than 15% of the image space is ideal). If you want to really empower your Facebook marketing, hire a professional who works in the Facebook Advertising space. 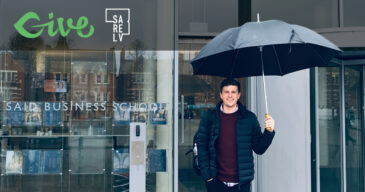 Typically their fees are small when compared against the expertise and effectiveness that their “advertising buying and management” can provide. Is your nonprofit taking advantage of this network? Sure, you may have to advertise to get a larger reach than organic posting. But the truth is that people spend hours on Facebook. It’s too big to quit, no matter how much people say otherwise. So, fostering a welcoming environment that pulls together your blogging, visual storytelling, and engaging with your audience and potential donor base, is worth the time and effort. I promise.